Visit one of the most beautiful regions imaginable, vast mountain ranges, with traditional clay homes spread across an expansive mountain range. Numbers are limited so book now! 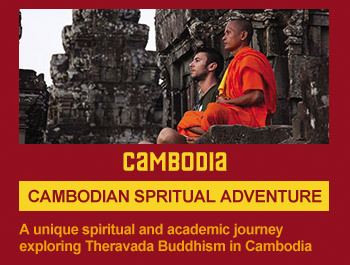 Live and learn from real Buddhist Monks, have a chance to ordain or simply learn and grow from this magical experience. 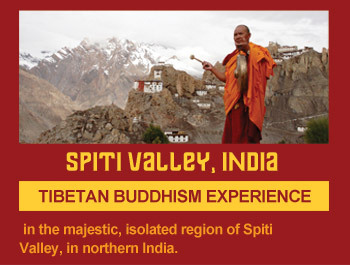 Discover Yourself, in the Majestic, Isolated region of Spiti Valley, in Northern India. Our New Dates for Monk for a Month 2018 are Now Up and Filling Fast! - CLICK HERE to find out more and to book. 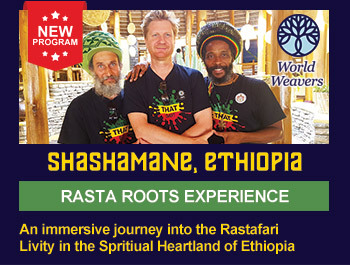 We now accept 20% holding deposit for all our program bookings, book yourself on the Spiritual Advenure of a lifetime today! Beginning with the pioneering Monk for a Month program in Thailand, World Weavers now runs leading-edge spiritual immersion and personal development programs around the world. We are excited together with our field partners Spiti Ecosphere, to be bringing you the NEW 22-Day Program - Monk for a Month: Tibetan Tradition. World Weavers offers individuals and small groups an authentic opportunity to vist, explore and immerse themselves into Buddhism and the cultures it lives within. World Weavers have run temple experiences and cultural travel in northern Thailand since 2008. Our original famous Monk for a Month initiative was a great success allowing many hundreds of guests a privileged insight into Buddhism from the Thai Theravada perspective. Now we offer you a new spiritual adventure into Tibetan (Vajrayana) Buddhism on the edge of the Tibetan plateau high among the Himalayas in "Tibetan" India. The trips include extended time staying inside Tibetan monasteries as well as a host of cultural activities culminating in a 3-day pilgrimage to Dharamsala, the seat of H.H. The Dalai Lama. Both Men and Women and welcome on the program and each group is limited to between 4-8 people.